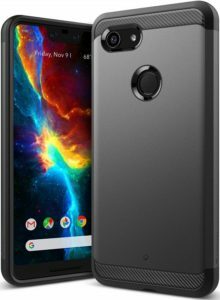 Google Pixel 3 XL cases are my next concern, now that I’ve pretty much decided that I will be getting the device. I like what I saw during the official launch event and I’m also on an annual upgrade plan, so I’m almost definitely getting the new phablet. I do have to wait for it until the middle of next month, as that’s when my annual upgrade will be available and, despite my attempts, my mobile operator won’t allow it sooner. Considering the fact that that will mean maybe another week of waiting, I’m sure I can manage. What I will try to do will be to get a case for the device before it shows up on my doorstep. The reason is pretty simple – from what I’ve read, that glass back is quite sensitive and I’m really annoyed to see scratches on my device right from the first few weeks (I stop caring afterwards), to be quite honest. So here are some of the interesting options I’ve come across. This is probably my first choice. Spigen have made a name for themselves when it comes to good-quality smartphone cases and I’m sure the phone will get the protection it needs. I’ve used their cases in the past and have been very happy with them. 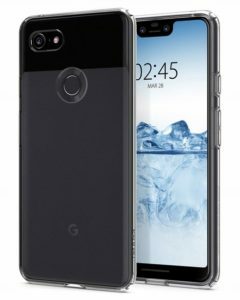 I’m not a big fan of clear cases, but I do think the Google Pixel 3 XL looks good and I’d like to see that more. Apart from that, this case has quite a good price (£8.99 on Amazon), has Spigen’s Air Cushion technology to protect the corners and is Squeeze compatible. You can also go for their Rugged Armor option if you want something more solid, at £9.99. I’ve been looking at Caseology’s cases on previous phones, but for some reasons other options have won in the past. Now I’m seriously considering their Legion Series case for the Pixel 3 XL, even though it does cover a serious chunk of the phone. I do like the fact that it’s dual-layered, which should theoretically provide more protection and that it seems quite well-built. It does have raised edges, to protect the screen when facing down, but then again most cases do these days. You can get it here for £12.99. This is one of the most obvious options. 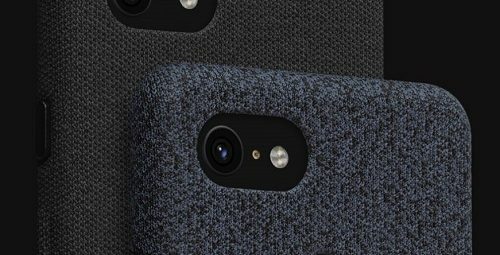 Google’s Fabric cases look nice, they offer very good protection and are quite resilient. I have a black one on my Pixel 2 XL and I’m quite happy with it. 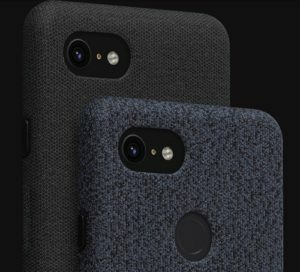 So why not get the Fabric Pixel 3 XL case (at £35)? These are my choices (at the moment) when it comes to Google Pixel 3 XL cases. If I find something else of interest, I will be sure to mention it on the site.